Following on from the London Toy Fair, Nuremberg held it’s annual toy fair too, as with London, there was a decent Sonic presence there too. Spindash.de managed to attend the event and were able to spot the following products. 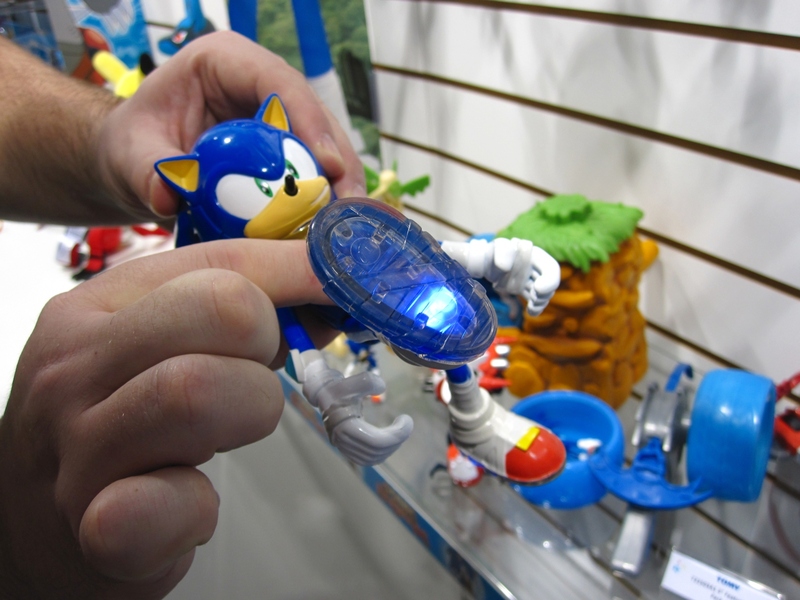 First up is the ABYstyle booth which had a bunch of the Paladone Sonic toys along with these new items. 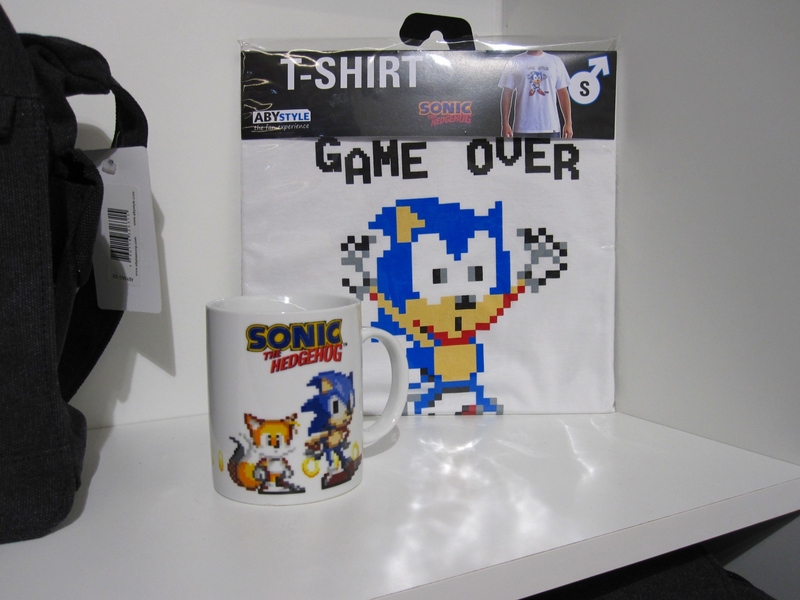 A T-Shirt which is likely going to be the subject of a number of jokes in the comments for some people and a classic Sonic & Tails mug. 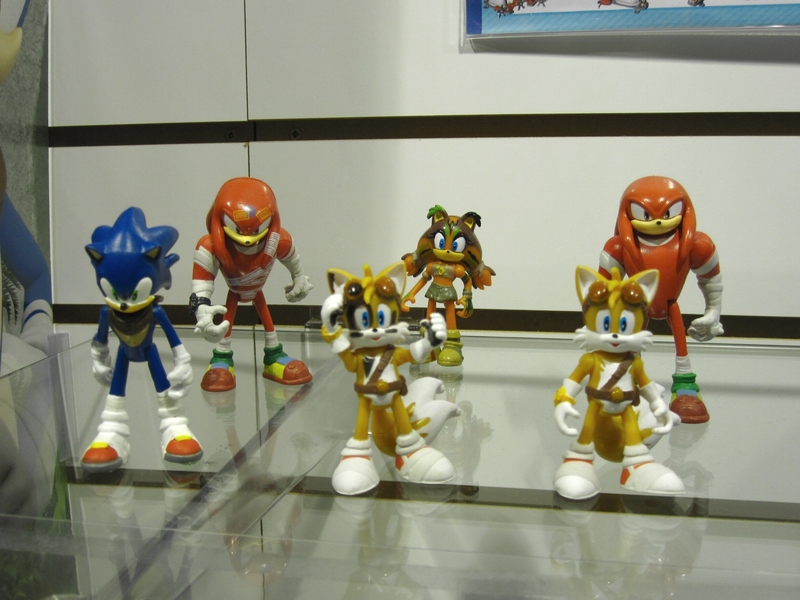 The Tomy booth was very similar to the booth which was photographed at London, only we now have some better images of the new action figures which appear to be variants of the original toyline. 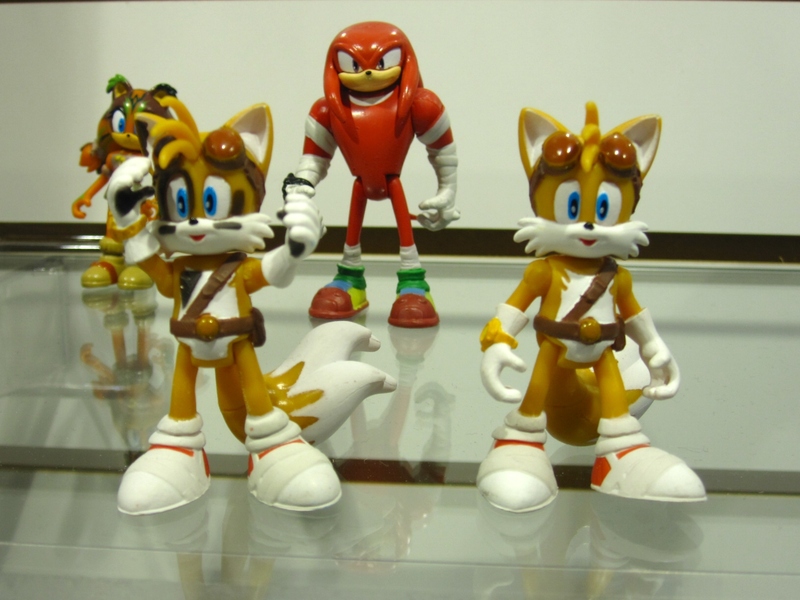 First up is Tails covered in oil, pictured next to the original Boom Tails. 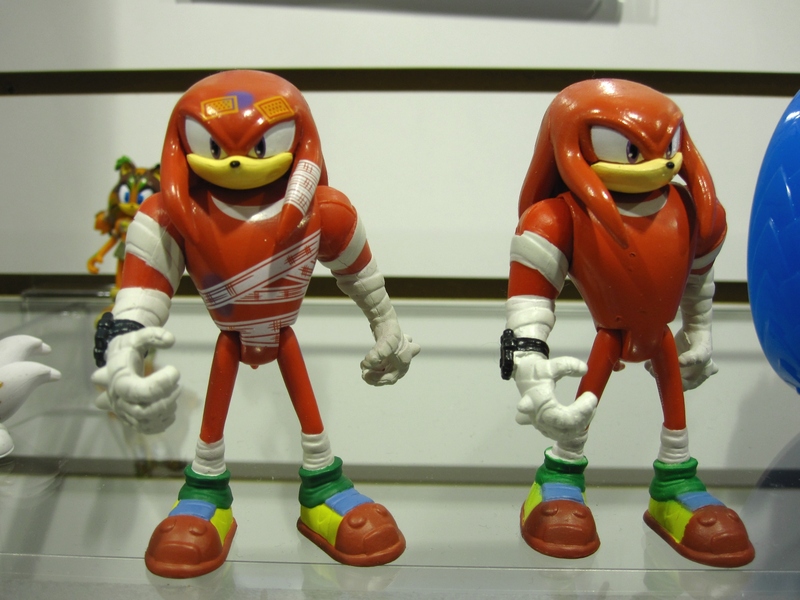 Next is what appears to be Battle Damaged Knuckles, looks like this might be from an upcoming episode of Sonic Boom. Edit: I have no idea if that’s the official name, just that typically action figures usually end up being called ‘Battle Damaged’ when they look like they’ve been in the wars. Here we can see a new Sticks figure which was also at London Toy Fair, we can now clearly see that she’s covered in the green slime from the episode in which she gets the robot dog as a pet. Sonic with light up feet, I have no idea why it happened, it just did. 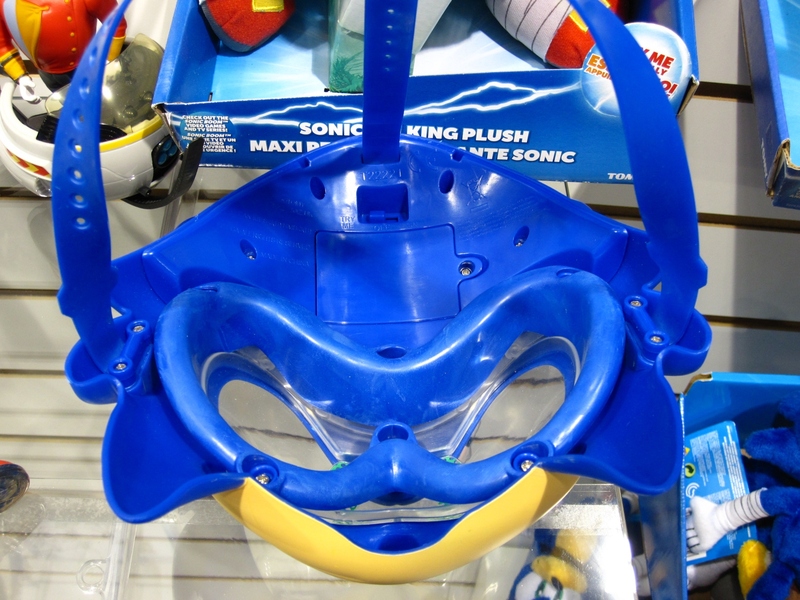 Next up is the light up mask from Tomy, we even get a look at the reverse side. 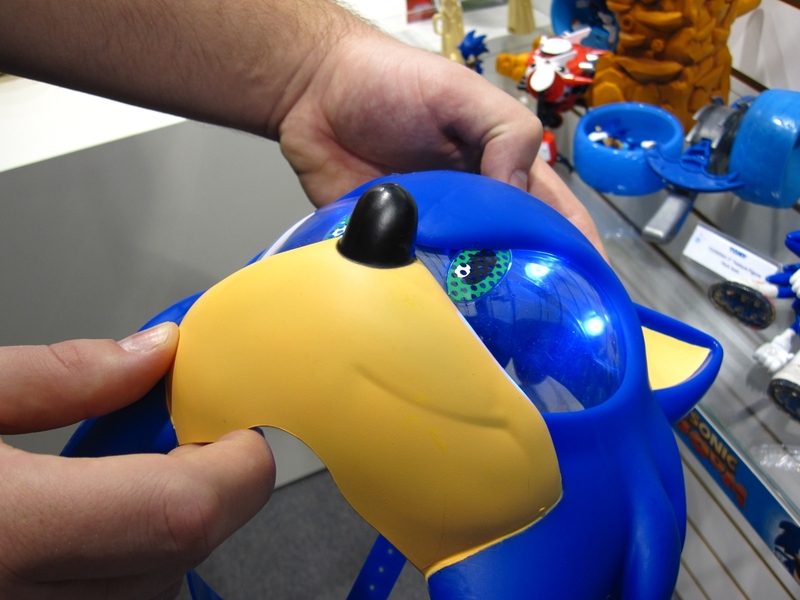 Other products noted were the Sonic Saves the Day pack which we spotted at the London Toy Fair and a few other figures which appeared at London. In addition to the above news, the following bits of information was also confirmed. 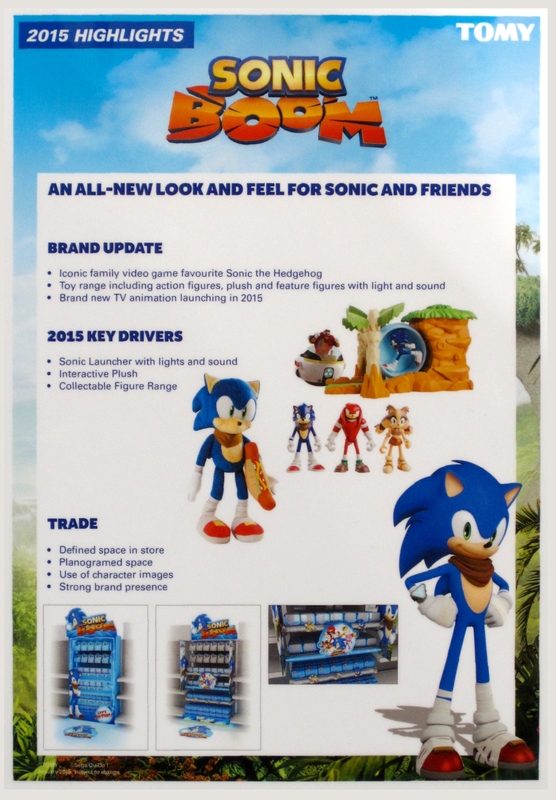 The Sonic Boom Toy Line will launch in Germany the moment the TV-Show begins. Jazwares also confirmed that they are no loner making Sonic toys. Finally, this document was also revealed which seems to show in-store packaging designs as well as some initial launch toys for Europe.